I am delighted to announce that I have won the Animal Behaviour category in this year’s British Wildlife Photography Awards. It’s two months to the day that I was told the news, when competition organiser Maggie Gowan phoned me up and charged me with the mighty task of keeping it confidential until now. 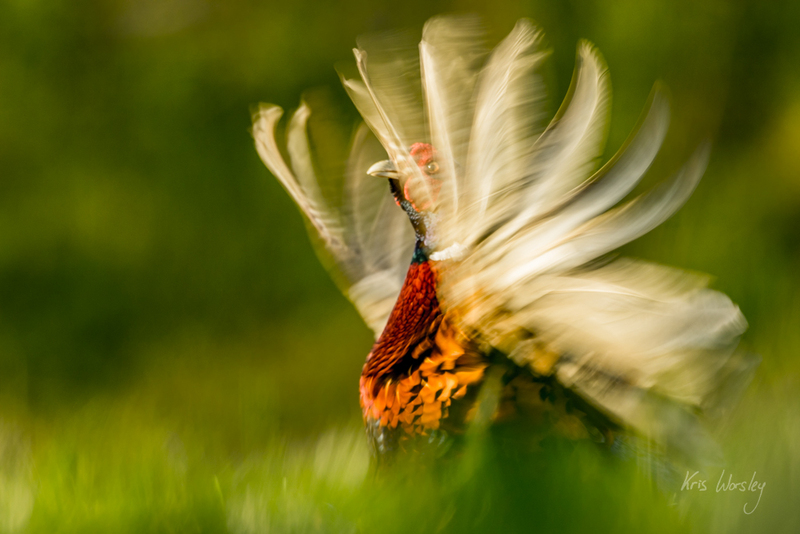 The picture of a male pheasant displaying was taken in April of this year in fields just at the front of my house. I would listen for the call through the open windows and walk out across the fields and through the woods in search of them. Congratulations to all the photographers of winning and commended images, and particular thanks to my wonderful colleagues at Leeds College of Music who have kindly agreed to cover my teaching on Wednesday in order to allow me to attend the awards ceremony and book launch. A selection of the winning and commended images are now available to view online.